CitiBike, New York City’s bike share system, has opened over 90 new stations so far this year and plans to double its bikes, and more than double its stations, by the end of 2017. On the other U.S. coast, San Francisco’s Bay Area Bike Share is growing from 700 to 7,000 bicycles. 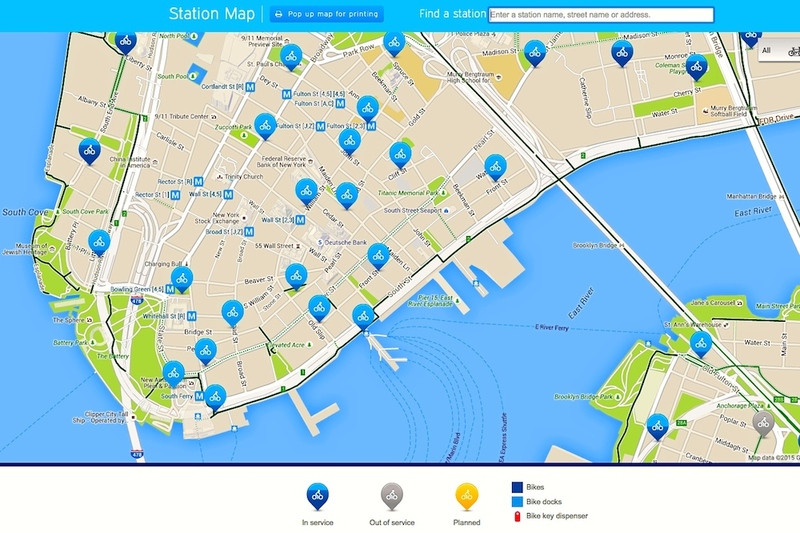 CitiBike is increasing its number of bikes from 6,000 to 12,000 and stations from 332 to over 700. Additionally it’s expanding its coverage area from lower Manhattan and parts of Brooklyn to also include upper Manhattan, more of Brooklyn, and parts of Queens. Significant benefits can result from cities facilitating bicycle transportation. It’s well known that biking directly improves riders’ cardiovascular health and overall fitness. Additionally, since bicycles create no emissions, substituting bikes for cars improves air and water quality and public health. What is less known is that having more bikes on roads reduces automobile crashes and makes streets safer for everyone. Although the operational model that CitiBike and similar systems are based on is typically termed “bike sharing”, in most cases it’s really relatively low-priced bike renting aimed at short term use. CitiBike user can purchase 1-day, 7-day, or annual memberships for $10, $25, or $149. Then short duration trips, 45 minutes or less for annual members and 30 minutes or less for others, are free. An additional fee is charged for trips that last longer. Other cities with large bike share programs include Paris with approximately 18,000 bicycles, London with 10,000, Taipei with 6,000, and Chicago with 4,700. But the largest systems appear to be in Mainland China. Wuhan’s and Hangzhou’s systems are reported to have 90,000 and 60,000 bikes respectively.